Let me start by getting one thing out of the way: I am a bike commuter. My morning bike commute is one of the best parts of my day. I also run errands by bike, I explore my city by bike and sometimes haul heavy objects on a bike trailer. And I do these things for, I am sure, many of the same reasons you use public transit: I save money, help the environment and both options offer less stressful alternatives to driving. But here is another bit of information: I also use transit on a weekly basis and I am a monthly KCATA pass holder. I buy a pass because there are mornings when I wake up and just don’t feel like riding into the office. Or alternatively, the hill at the end of the day to get back home can sometimes be just too daunting to tackle. Sometimes it’s just nice to let someone else do the driving for a change. But more often than not, I am just using the bike for the first and last mile of my transit trip. Likewise, I am sure you might be in the same boat on occasion. Transfers take too long or headways just don’t match your schedule. And working your grocery store trips around the bus schedule can be a bit of an ordeal. Perhaps you drive for most of your trips because the nearest bus route is out of walking distance. Having an alternative sure comes in handy sometimes. So, I invite you to consider making a minor change in your lifestyle by turning your bike into your new transfer. And BikeWalkKC would like to make this easier for you by offering to be your community partner and help you along your journey (literally). Bicycling in a big city may be a little intimidating for some, but I promise it is an activity that anyone can truly enjoy. It just takes a little confidence. BikeWalkKC is launching a brand new lineup of educational experiences called KC FeetFirst for area residents who want to feel a little more comfortable when taking to the streets. Every month, there’s a recurring schedule of highly informative, interactive and lively workshops. The first Friday of the month you can attend Art of the Bike or gain legitimate city bicycling skills on the second Saturday in Confident City Cycling. Talk shop and get hands-on bike maintenance advice on the third Thursday of the month at Maintain Your Ride; each month brings a new learning topic. 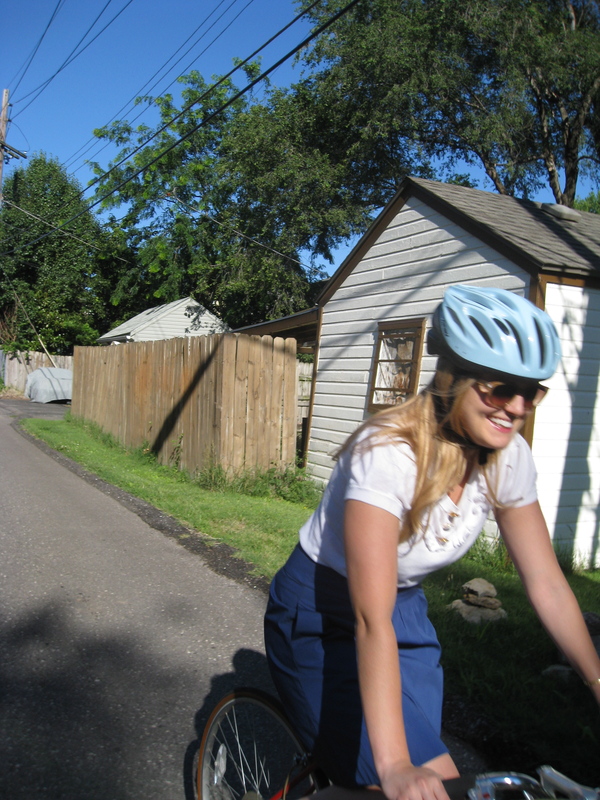 The second Tuesday of the month will be a clinic on a particular pedestrian or bicycle topic. December’s installment is called Dress Your Bike for Winter. All of the workshops and clinics are free (BikeWalkKC suggests you make a small donation) and open to the public. For more information or to register, click here. And while Kansas City may not be as bike friendly as Portland, Oregon, we do have bike racks on 100% of our bus fleet. This is something few major cities can say. It really enables you to cover the first and last mile of your trip without waiting. It also greatly increases number of bus route options for your journey. Now, we aren’t asking you to stop taking the bus. We just want to help you add another transportation alternative to what you already have or help make transit a more viable option. Not to mention, you’ll get to feel the wind in your face while getting some exercise and most importantly… having fun! Sign up today: www.BikeWalkKC.org/education While you are thinking about bicycling, check out the website of our proposed Public Bike Share. Think of it like another layer of public transportation where the stop is a docking station and the bus is a bike. Tell us where YOU would like to see stations with our Suggest a Station feature: www.bikesharekc.com. 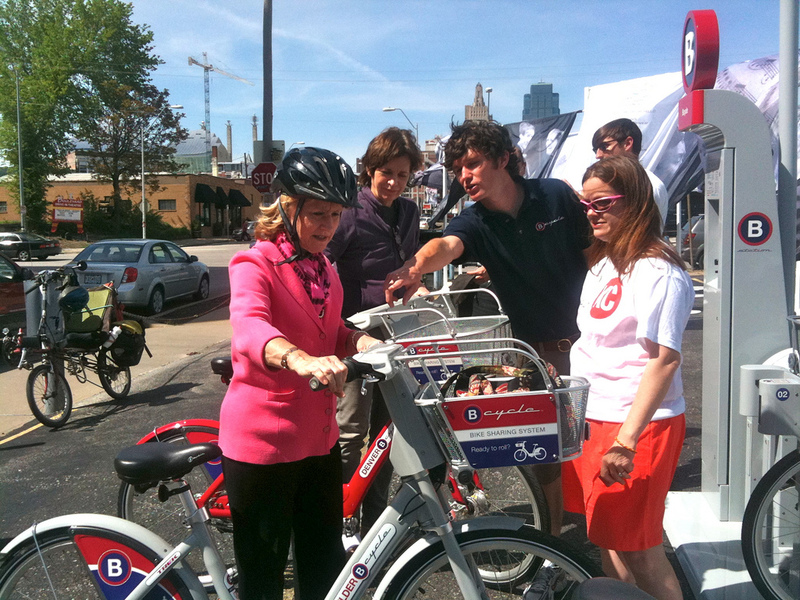 Bike Share KC is expected to launch by July 2012. Guest blogger: Eric Bunch is Director of Education, BikeWalkKC. He gave a presentation about the proposed Public Bike Share program at the November TAN meeting. This entry was posted on November 18, 2011 at 11:23 AM	and is filed under Action, Events. Tagged: Kansas City. You can follow any responses to this entry through the RSS 2.0 feed. You can leave a response, or trackback from your own site.